Judges are authority figures, and they are supposed to de-escalate problems, not cause them. They are literally paid to be the single point of authority, of communication, in the entire game. They’re supposed to take local conditions into effect, they’re supposed to take game conditions into effect, they’re supposed to balance a number of factors. That’s why they have their jobs. Literally. The stadium was noisy. People were having a hard time hearing what was going on, even the players. Naomi said afterwards that she had no idea what was going on, and she’s a player. The crowd certainly had no clue. If the judge isn’t responsible for properly communicating, who is? Whoever that was failed at their job. When the warning about the coaching went down, it was about Serena’s coach, not Serena. There was a miscommunication. The judge should have rectified it. It’s literally his job. He did not do his job. A simple “Ms Williams, I was warning your coach to stop with the hand signals, not you. You are not cheating. Let’s get back to the game, shall we?” would have diffused the whole situation. That would be world class judging. He didn’t do that. He stood on his authority without communicating and just let things get out of hand all because of his communication failure. If that never happened, the rest of the issues would never have happened. She might still have thrown the racket that once, but a simple “Ms Williams, please control yourself. If you do it again, I’ll have to penalize you a point” would also have diffused the whole situation. This is a world class game, you don’t just chuck points for minor nonsense like this. It was only the second (or third) warning *because* he had already failed to communicate properly, had failed to do his job. Instead, he used that as an excuse to fail a second (or third) time at his job. And honestly, if he had not screwed the first call, Serena would not have been as angry and thrown her racket, nor would she have yelled back at him. They are all fruit of his poisonous tree. Judges are supposed to be impartial and not based on emotion. It doesn’t matter if he’s called a thief. He neglected his duties and used being offended as an excuse. That’s not being impartial, that’s being an egomaniac. He made the entire game about himself. Also, these world class athletes are in a way more stressful position, physically and emotionally, than the judge. They’re pumped up with testosterone and adrenaline. A judge should realize this and take it into account. 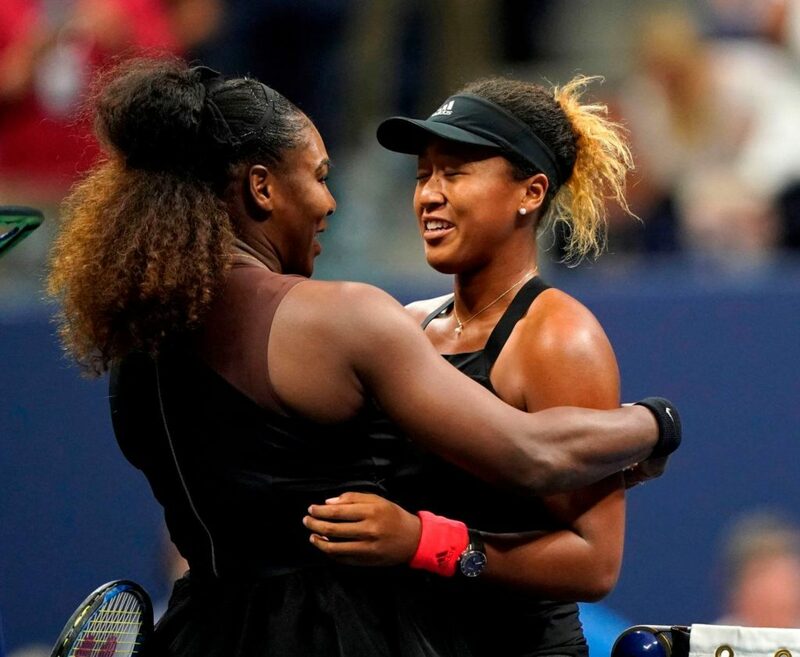 In addition, anyone who has payed any attention to tennis, let alone any sports at all, has known what kind of experience Serena has had for her entire career. She’s been the target of ugly racism and sexism for decades, including this season. That weighs on a person. When a slap in the face comes along, you have to expect that she’s going to take it personally, because frankly, it almost always is. Penalizing her for standing up to what is a constant fire hose of abuse in her face on nearly every day is blind in the extreme. Especially when your own actions are fueling the fire. She deserves the benefit of some doubt. If the judge can’t understand that, and can’t take that into consideration, then they’re not a judge, let alone a world class judge that’s supposed to be responsible for the highest event in the sport. This judge failed in his responsibilities to understand the limitations of the circumstances, or to handle the situation in a calm and deescalating manner. The entire situation is his fault, and he and the administration owe both players a public apology. This was no judge, this was merely a person passing judgement, while taking no responsibility for their own failure of training or failure of execution. The world ill needs more of those. And to tie this in to why there’s so many articles about it from a race perspective: it’s because this echoes so clearly the plight of #blacklivesmatter. Cops are authority figures, too. They don’t bother getting any deescalation training, they can do anything they like in our society, and the legal system backs them up even when they murder black people in cold blood. This is yet another example of an egotistical authority figure who takes no responsibility for de-escalation, who hides behind the rules. And then large swaths of society back them up. We’ve heard it before. Those people were being uppity; if they only listened to the cops, they’d be alive; it’s all their fault for not obeying immediately and submitting to authority, even if it was unfair; if only they were more calm than we demand of the authority figure, none of this would have happened. This whole nasty affair reflects those still ongoing tragedies.